Three classic games hit Switch Online's NES library this November. Nintendo Switch Online’s NES library is about to be bumped up by three again, as Nintendo has revealed the release date and line-up for November 2018. 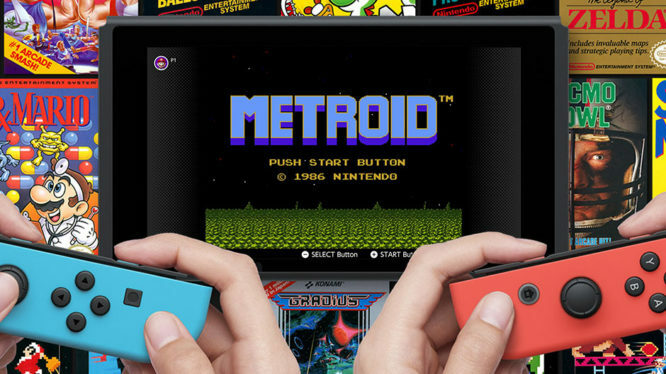 This month, subscribers will be able to get their hands on Metroid, Mighty Bomb Jack, and TwinBee. All three classic titles are set to release on November 14th 2018 and will be playable through the Switch’s Nintendo Entertainment Software app. First up is TwinBee, a vertically scrolling ship-based shooter that was originally released in 1985 as an arcade game. It was ported to Famicom in 1986 and has since seen releases on GBA, DS and the 3DS. TwinBee is the only game this month that supports co-op – with each player controlling their own ship. Feeling Mighty? Then you might want to test out your platforming skills in Tecmo’s NES sequel to Bomb Jack. Diffuse bombs, find treasure chests and power yourself up with some Mighty Coins or Mighty Drinks. Don’t get too greedy though, else you’ll end up in the Torture Room. First released in 1986, Metroid is an action-adventure side-scroller with a focus on exploration. If you like Metroidvanias but haven’t played the first Metroid, then now’s your chance. Become the bounty hunter Samus Aran, expand your arsenal, and destroy the Mother Brain. That’s it for this month’s Nintendo Switch Online classic games update. Whether or not subscribers will also get a bonus “special” NES title like last month, is still yet to be seen. Could three new Switch announcements be just around the corner? Metroid Prime 4 delayed due to "challenged" development status.